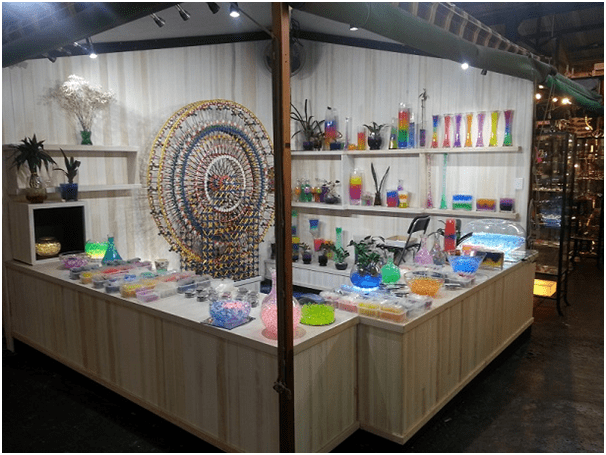 Come and visit our colourful new stand at Fremantle Markets where our friendly staff will introduce you to the sensory world of WATER BEADS. Firstly you will be transfixed by the light, colour and movement you are faced with. Then dive your hands into a bowl of sparkling water beads and experience the gentle massage effect. Some people find it a little slimy, some want to dive into a bath full of water beads, but there is no denying it,- it’s a sensory experience. See how to make decorative creations by layering or mixing the various colours. Our staff are quite knowledgeable about colours and are willing to advise you on how to achieve various effects. Now see what happens when you place a light underneath the beads. What an amazing light feature to liven up a party inside or out. 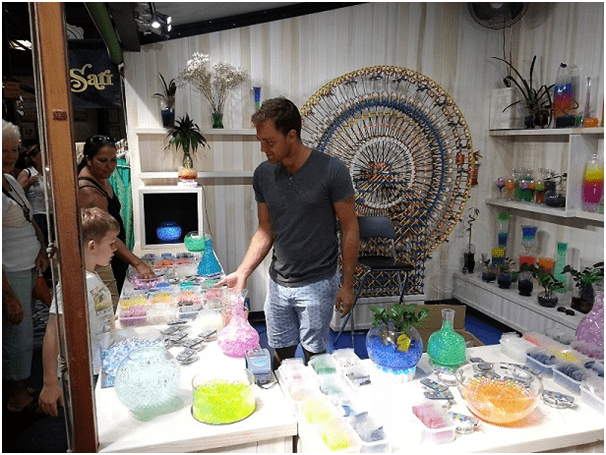 Our extensive array of water beads and lights make a great gift idea particularly if you need to travel with or post them as they are small and compact until you add water.